I think these are words to live (and drive) by regardless of where one is in the world; humans are unpredictable beasts at the best of times, and when put in charge of great hulks of metal traveling at speed, it is not unusual for their IQs to halve. That said, while Greek roads don’t have a monopoly on unpredictability, they do often excel at it. The streets of Athens have a baseline level of barely contained chaos any time of day; here it is said that at traffic lights even the cars at the head of the pack honk when the light turns green. And in between the cars and trucks, bareheaded motorcyclists weave like swarms of wasps late for a picnic. Things may be quieter in the countryside, but here the roads are often narrow and well-worn, the markings faint and the locals disconcertingly confident. So it is little surprise that many visitors in Greece, while confident drivers back home, often turn a shade of ashen when you suggest they perhaps rent a car and take to the roads. 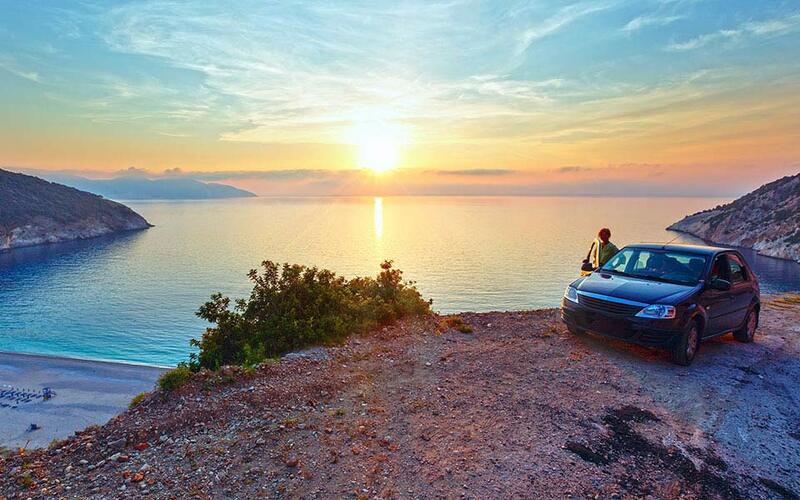 But to really explore mainland Greece, a car is essential. Trains, planes and inter city bus lines will take you to most towns, but many villages and remote areas have few to no public transport links. Private tour buses are an option for more popular destinations, but these force you to both abide by a strict schedule, and smell the food your fellow passengers will invariably consume en route – their appetites apparently stimulated by the confined, airless space. Being in control of your own vehicle, on the other hand, is to be free. 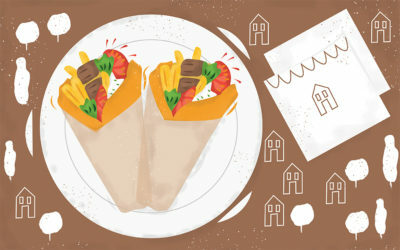 You can eat what you want when you want it, and decide just how much Greek pop over the radio is more than enough. 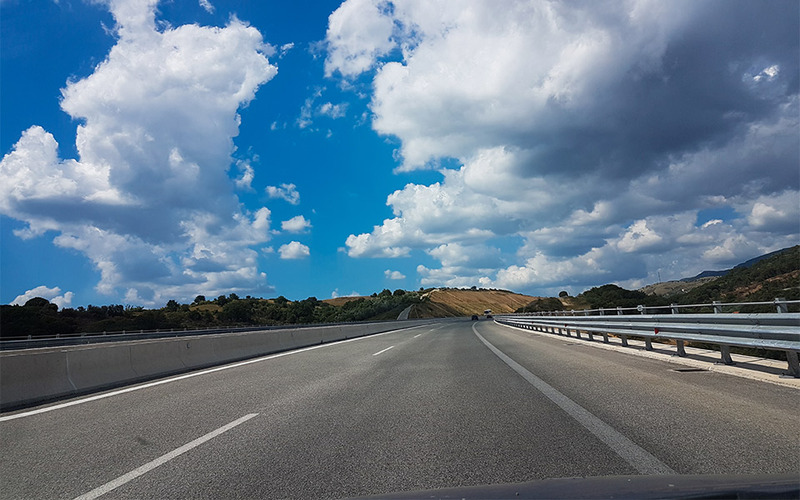 The open road beckons and literally just by driving in any direction you will end up somewhere beautiful, be it the coast of the Peloponnese or the mountains of Epirus. 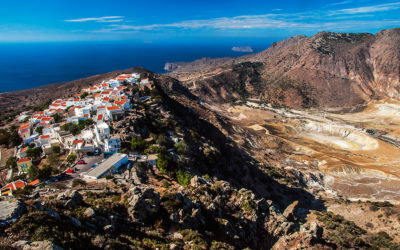 Greece offers so much in such a small area that it naturally lends itself to road trips combining mountain and sea, nature and culture, and the odd stop to let the goats cross. And while for the uninitiated a degree of trepidation is understandable, one shouldn’t let fear get in the way of exploring Greece by car. There have been significant improvements to the road network in recent years, and its easy to start small and build your way up to more challenging trips. So in the interest of helping others navigate the Greek road system, here are a few (very general) lessons I have learnt from a decade and a half of driving in Greece. Greeks are an expressive lot not typically renowned for their patience, and there are few places these traits are most pronounced than on the road. Dawdle for a millisecond at a traffic light, or slow down a bit as you scan for a parking space, and you may well find yourself on the receiving end of some wild gesticulations, and choice words best left untranslated. Likewise on highways and country roads, the other typical phenomenon is for a car (typically a BMW/Audi or Fiat on steroids) to zoom up to your rear bumper and then flash its lights even when you have no way of letting them past short of vaporizing into thin air. 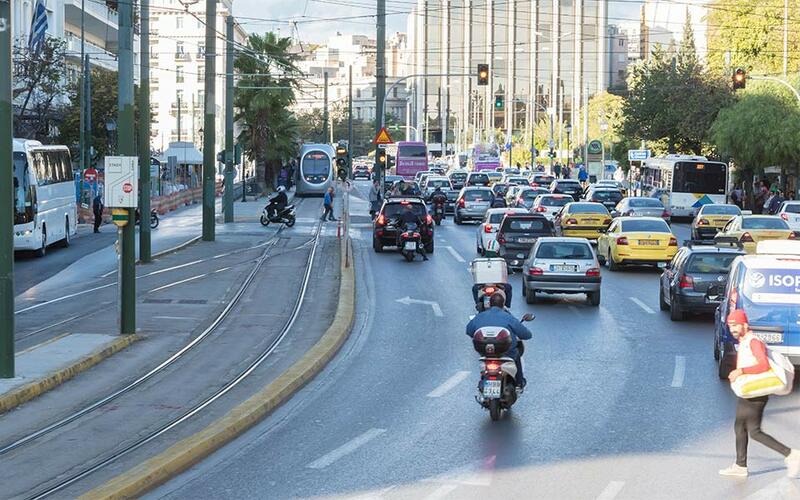 The people who engage in such behavior are a minority to be sure, but in Greece, just as in the rest of the world, fools walk and drive among us. After many years of experimenting with different responses, I have come to one unshakeable conclusion: the only way to win at this game is not to play it. To otherwise respond with your own choice words or hand gestures (or worse, by tapping your brakes) is simply to join those splashing in the muddy puddle of stupid. For a country that has had a turbulent time economically over the past decade, it may seem implausible that the highway network is today in a much better state than it was ten years ago. And yet, that is the case. Several long-delayed infrastructure projects were finally completed in recent years, transforming important stretches from hair-raising affairs to smooth sailing. One notable example is the highway that links Corinth to Patras, a key part of the main route from Athens to the western provinces. This major artery was famously a nightmare to navigate – essentially a road comprising one truck-filled lane in either direction which led to a lot of boneheaded overtaking, and a correspondingly high mortality rate. But today it has been upgraded to a civilized dual carriageway with new tunnels eliminating many of the bends and cutting the travel time almost in half. Similarly, other motorways have made the drive from Athens to Thessaloniki and from Thessaloniki to the west of Greece far quicker and safer. The only down side has been the steep rise in tolls, but they are a small price to pay for, you know, staying alive. There is perhaps no look more chagrinned than that of a city dweller who has taken their gleaming SUV into the countryside and promptly gotten it stuck in the snow/mud/sand. And it is not a particularly uncommon sight. Greece has both mountains and, at times, seriously inclement weather. Both should be respected and none of the fancy traction buttons or mean-looking xenon headlights your car may have make it impervious to the likes of snow and fog. 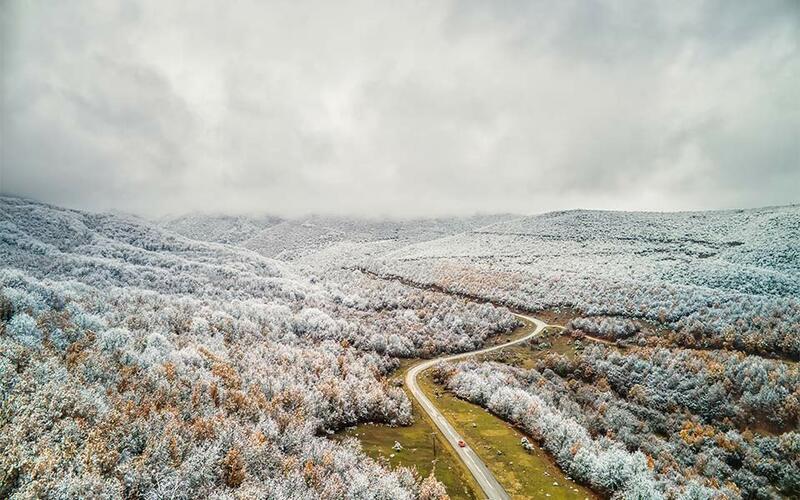 If heading into the mountains in the winter make sure to have snow chains – Murphy’s Law dictates that not having them in the boot increases the chances of snow tenfold. And if you encounter rain and fog simply see it as nature’s way of telling you to slow the hell down, or perhaps even stop in a village for the night. Rain dislodges rocks, and cows and deer often stand on roads when its foggy – it is said that they feel more secure on the level asphalt when visibility is poor. Actually I made that last bit up but it might be true so, all the more reason to drive slowly. This also has the benefit of preventing you from driving into a tree or river. The moment you drive out of a major city like Athens, you will encounter the first of many surprising transitions. Unlike elsewhere where high-rise cities give way to endless sprawling suburbs, when you drive out of the city in Greece you are very shortly presented with views of mountains and/or the sea. And it only gets better from there. 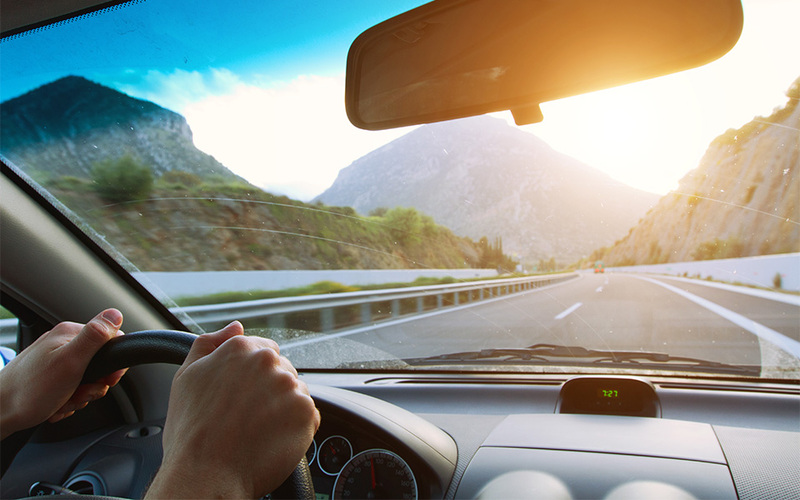 Now is the time to put on some sweet driving music (audiobooks also work very well if you are past a certain age) and just enjoy the scenery. In fact the best thing about Greek road trips is precisely being able to do just that; there is no reason at all to rush – no boat or plane to catch, no dinner reservation to make. Wherever you are going will be there when you get there. And, for the truly advanced, you can even set off without any destination at all, and just end up where the road takes you. So don’t sweat the numbskulls, and happy travels. 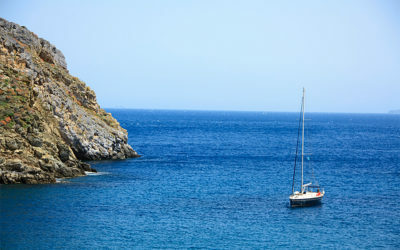 Looking for great road trips in Greece? Here are 8 complete with maps!